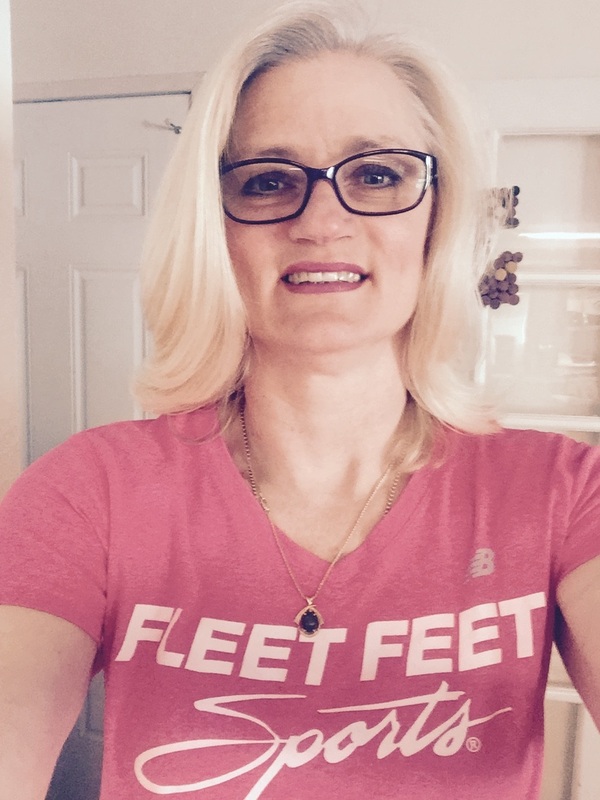 Carol Gilpin, Owner of Fleet Feet Vacaville, has been active through running, walking, and triathlon for 20 plus years. Carol is a Registered Dietitian and specializes in Sports Nutrition. She is passionate about health and fitness and strives to bring a unique experience to the community. When not running, (either the store or getting those miles in) Carols spends time with her 3 beautiful daughters and enjoys socializing with her husband, winemaker John Gilpin. Carol is a great example of how to have a successful business while still enjoying life and creating time for her family. Fitness Goal: To stay healthy, fit and active my whole life long. Interesting Fact About Me: I went to college on a theater scholarship. Favorite Product: Garmin Fenix 5. It helps me keep track of my mileage and fitness goals. At a glance I can see what my weekly, monthly or even yearly mileage is and stay encouraged to keep getting out there and keep moving. What I Love Most About Working At Fleet Feet: Encouraging others to get out there and get fit. Also helping the customer, whose feet hurt terribly, find the right products to make them feel better. Fitness Goal: To run the Golden State 1/2 Series. Interesting Fact About Me: I was Miss Washington State Dairy Princess in 2007. Favorite Race: Yosemite 1/2 Marathon. Favorite Product: Brooks Launch running shoe. 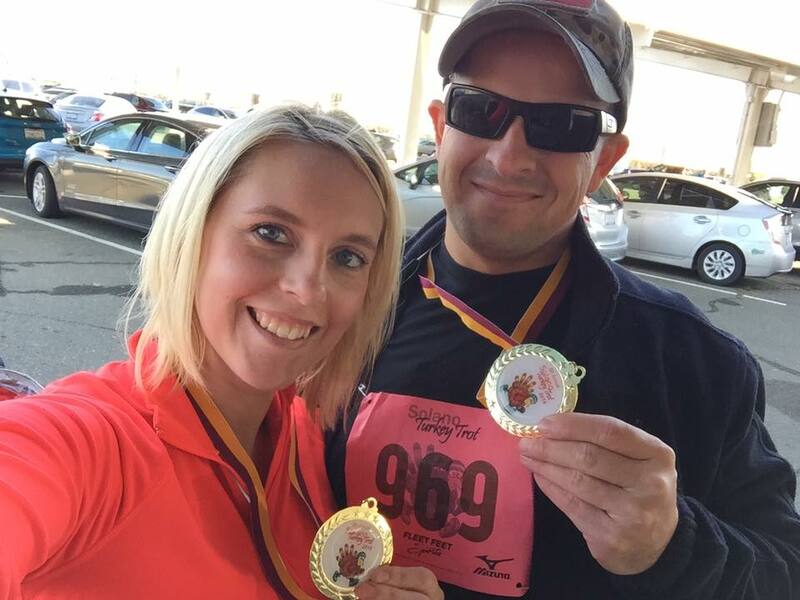 What I Love Most About Working At Fleet Feet: I am new to the area and I get to meet so many awesome people who love running just like my husband and I do. Interesting Fact About Me: I work at Fleet Feet Santa Rosa while I am away at college and at Fleet Feet Vacaville when I'm on my breaks and summer. Favorite Product: CEP socks. I use them on our travels as well as when I run. What I Love Most About Working At Fleet Feet: Sharing my knowledge of how important it is to have good shoes is a great feeling. I love when customers leave with new shoes and smiles on their faces. Fitness Goal: To keep up with my mom on her runs. Interesting Fact About Me: I will be graduating Vacaville High School this June and attending Chico State in the fall! Favorite Product: My Lululemon apparel is so buttery soft, who wouldn't love it? What I Love Most About Working At Fleet Feet: Not only do I get to work with my mom, but everyone here feels like family. I feel really lucky to have great coworkers and to know so many of the customers that come in. Interesting Fact About Me: I lead our Rise & Shine Yoga classes at 9am on Sundays, and teach yoga at Ebb & Flow Yoga Studio in Vacaville. I completed my 200 hour teacher training in December 2017! Favorite Product: Garmin fenix 5S Sapphire in Rose Gold... because its functional AND stylish! What I Love Most About Working At Fleet Feet: I love working with people who love running. I also enjoy educating customers on shoes, apparel, and accessories to help them achieve their personal and fitness goals. Fitness Goal: I want to run longer distances. Interesting Fact About Me: I've lived 8 different states: Georgia, Texas, Alaska, Arkansas, California, Alabama, Florida, and Colorado. Favorite Product: I love my Hydroflask. It keeps the cold stuff cold and the hot stuff hot. What I Love Most About Working At Fleet Feet: I like the community. Everyone is so nice and welcoming. Interesting Fact About Me: Before working at Fleet Feet Vacaville, I was part of the 10k Fall Beyond Boundaries training group. Favorite Race: Wharf to Wharf. It’s a 6 mile run from Santa Cruz to Capitola. It’s beautiful and refreshing! Favorite Product: Besides the shoes? I really like my Hot Shot sports bra by Brooks. Perfect for everyday wear and then yoga after work. What I Love Most About Working At Fleet Feet: The people. The vibe.is like hanging out with your friends rather than working. 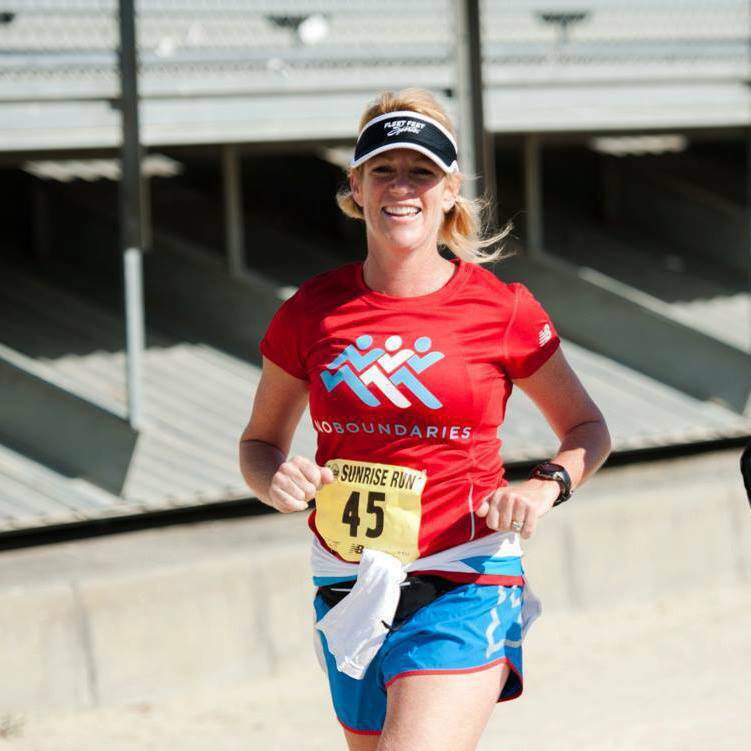 Interesting Fact About Me: I am retired and after traveling all over the world and doing incredible hikes, I wanted to share my passion of running with everyone through Fleet Feet. Favorite Race: Kauia 1/2 Marathon. Favorite Product: Besides the shoes? New Balance apparel is versatile and reflective. What I Love Most About Working At Fleet Feet: Being an inspiration and sharing my knowlege to runners of all ages and fitness levels.